Researchers from the University of Manchester have discovered that the famous “two brothers” Khnum-Nakht and Nekht-Ankh were actually half-brothers thanks to advanced DNA sequencing. The “two brothers” tomb was first discovered by Flinders Petrie & the British School of Archaeology at Deir-Rifeh in 1907 and has been the topic of debate for many Egyptologists over the decades. Hieroglyphic inscriptions on the two coffins first suggested that each were the sons of an unnamed local governor and had mothers with the same name. A later analysis by Dr Margaret Murray in 1908 concluded that the skeletal morphologies were quite different, suggesting an absence of family relationship. Based on contemporary inscriptional evidence, it was proposed that one of the Brothers was adopted. Extracted DNA following hybridization capture of the mitochondrial and Y chromosome fractions showed that both Nakht-Ankh and Khnum-Nakht belonged to mitochondrial haplotype M1a1, suggesting a maternal relationship. 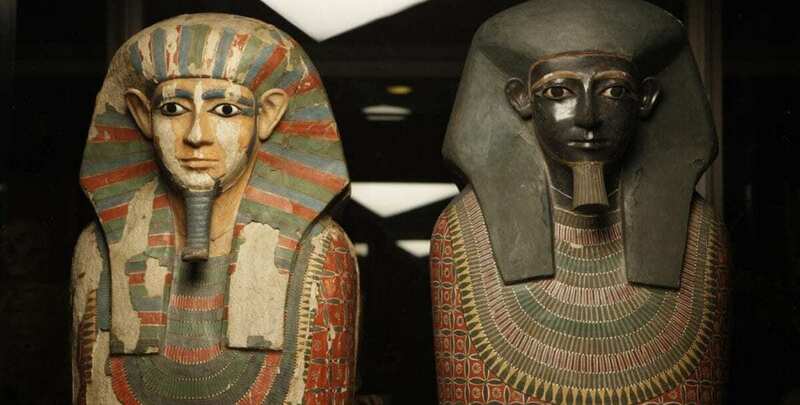 Incomplete Y chromosome sequences showed variations between both remains that indicated that Nakht-Ankh and Khnum-Nakht were from different paternal lines.